Edith Cowan University (ECU) Racing is a volunteer organisation formed and run by students, from varying disciplines of engineering, which undertakes the annual design and construction of a Formula-SAE racing car. Beginning in 2008, and despite being fairly new to the student racing scene, the team have flown up the international rankings in the world’s largest engineering design competition, Formula SAE. The largest university competition in the world, Formula SAE sees over 600 teams compete. 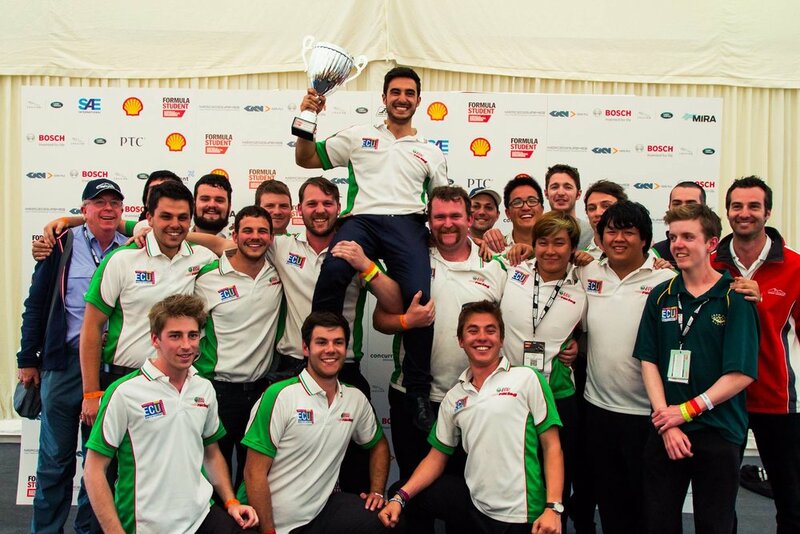 After achieving second place in the 2012 Formula SAE-Australasian competition, the team made the decision to travel internationally which resulted in the 2014 & 2016 campaigns, this landed the team in the middle of the English countryside at Silverstone for the Formula Student UK competition. "Best powertrain Installation of an Internal Combustion Engine"
Later in 2014 the team pushed for a win at the Australasian competition held at Calder Park in Melbourne. At the end of the weekend the team finished a close second, only behind first place by the slimmest of margins. The team now prepares for the 2018 SAE-Australasian competition.